Brodson Construction, Inc. is a national contractor based out of South Florida with a track record of successful projects from Miami to Los Angeles. We know that client experience with our staff, detailed knowledge of construction, sequencing, and proper resource management are paramount to the overall success of any project, large or small. Our primary focus is total customer satisfaction. 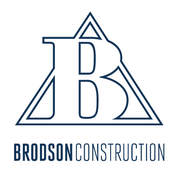 Brodson Construction’s 29 years of experience in general contracting and construction management in the high end commercial, restaurant and retail arenas have engendered the unique philosophy and construction acumen that our firm brings to the marketplace. By merging our restaurant/hospitality experience, ground-up building expertise, and demanding, fast-paced retail construction savvy, we consistently deliver on time, within budget, and on-quality under often complicated circumstances. Locally, Brodson Construction’s extensive experience within Miami and long-standing relationships with administration and inspectors give us an edge over other contractors. We offer added value to our clients because we are able to expeditiously navigate owners and architects through the complex workings of the City. The strength of our client relationships also brings us to other major U.S. markets including Los Angeles, Atlanta , San Francisco, Dallas, Chicago, and New York.